NYC in April is usually quite nice, unless we get too much rain. For local children, Spring Break is March 29-April 6th, so expect the City to be very crowded, and also check sightseeing hours for Easter Sunday, April 4th. Ongoing: Orchid Show at Botanical Garden. 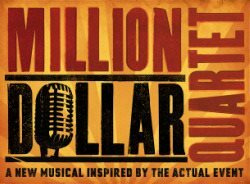 MILLION DOLLAR QUARTET is the new smash-hit musical inspired by the famed recording session that brought together rock ‘n’ roll icons Johnny Cash, Jerry Lee Lewis, Carl Perkins and Elvis Presley for the first and only time. On December 4, 1956, these four young musicians gathered at Sun Records in Memphis for what would be one of the greatest jam sessions ever. MILLION DOLLAR QUARTET brings that legendary night to life, featuring a score of rock hits including “Blue Suede Shoes,” “Fever,” “That’s All Right,” “Sixteen Tons,” “Great Balls of Fire,” “Walk the Line,” “Whole Lotta Shakin’ Goin’ On,” “Who Do You Love?,” “Matchbox,” “Folsom Prison Blues,” “Hound Dog” and more. Two-time Academy Award® winner Denzel Washington returns to Broadway, alongside Academy Award nominee and Tony Award® winner Viola Davis, in August Wilson’s Pulitzer Prize-winning play. David Lee and the New York Knicks host the Miami Heat at Madison Square Garden. The Heat are led by Dwyane Wade, the superstar guard who led the NBA in scoring last season. All guests will receive a free Knicks t-shirt. More on Knicks and tickets. Check out concept and future vehicles, ultra luxury sports cars and more. With their cool, new iPhone app, the Auto Show is better than ever. 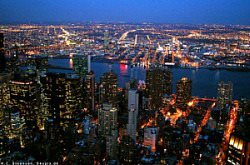 They were the first and the largest attended Auto Show in North America, and one of the most popular events in New York City each year, receiving over one million visitors during its 10-day run. Filling the Jacob K. Javits Center with over 1,000 vehicles from major auto manufacturers and more it is a must see for all auto enthusiasts. The multi-week Film Festival festival takes place at various venues, mostly near Tribeca Cinemas, 54 Varick Street and showcases every film genre while attracting blockbuster global celebrities, probably more so than Fashion Week. Robert De Niro and colleagues founded the Tribeca Film Festival in 2001, following the attacks on the World Trade Center to spur the revitalization of lower Manhattan. The Festival’s mission focuses on assisting filmmakers to reach the broadest possible audience, enabling the international film community and general public to experience the power of cinema and promoting New York City as a major filmmaking center. One of world’s greatest classic tales hits the stage and features a surprise grand finale showcasing the tremendous talents of the professional and rescued Dalmatians that will leave audiences cheering! 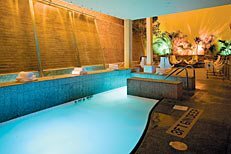 My favorite spa is Great Jones (at left), because of their amazing water lounge, steam and sauna. It is great way to escape to the bustling city, especially in the winter. However, they don’t have the best spa week deals anymore (the value of a mani/pedi is not nearly as good as a facial or massage). Another great spa that partakes in Spa Week is Elizabeth Arden. Includes every song from Green Day’s acclaimed album, American Idiot, and several songs from their new album. Green Day won two Grammy Awards for the groundbreaking rock opera American Idiot, which sold more than 12 million copies worldwide. American Idiot follows the exhilarating journey of a new generation of young Americans as they struggle to find meaning in a post 9/11 world, borne along by Green Day’s electrifying score. Now Billie Joe Armstrong and the band collaborate with one of the theatre’s most acclaimed creative teams, led by the Tony Award-winning director of Spring Awakening, Michael Mayer, two-time Tony Award-winning composer and orchestrator Tom Kitt, and Olivier Award-winning choreographer Steven Hoggett, to bring this explosive, iconic album to the stage.